Losing weight isn't easy and you're probably going to need a little help along the way. But if your idea of losing weight is popping a pill ... there are a few things you need to consider. "Diet pills" can be two very different things: One is weight loss supplements sold over the counter (OTC) and the other is weight loss medications available only by prescription from a physician. The most important thing to remember about weight loss supplements is just because they're available over-the-counter, that doesn't mean they're safe. Known side effects to OTC weight loss supplements include serious gastrointestinal problems, dermatitis, and sleep disruption. OTC supplements can also interact with other medications you may be taking. This can be dangerous if you're using medication to control serious conditions such as high blood pressure or heart disease. If your efforts to eat right and exercise just don't bring the results you had hoped for and you're interested in medication to lose weight, discuss your concerns with your physician and find out if it is an option for you. 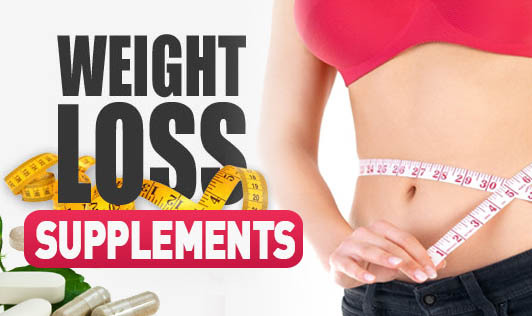 There are three types of weight loss medication: those that suppress the appetite with amphetamine-like effect; a second type of appetite suppressant called sibutramine; and third, orlistat, which prevents the absorption of some of the fat you eat. All have potential side effects and none should be used indefinitely. Most of us have probably tried at least one thing from the above list in an effort to lose that stubborn fat. But what happens when we follow a shortcut? We lose weight, go off the diet or start eating again and end up gaining even more weight. So, while shortcuts aren't always bad or dangerous, if you keep trying them again and again you might actually end up worse. So the best, effective and long lasting way is the one which involves lifestyle changes such as more exercise and less crappy eating.